Alan checks out Smite, a deity-themed action title that's hoping to be the first truly successful console MOBA. Daring to step out into the spotlight of one of gaming’s most hotly contested categories, Smite is going toe-to-toe with League of Legends, Dota 2, and Heroes of the Storm to name just three contenders. Does it have the chops to duke it out with some of the industry’s biggest titles? Sort of. 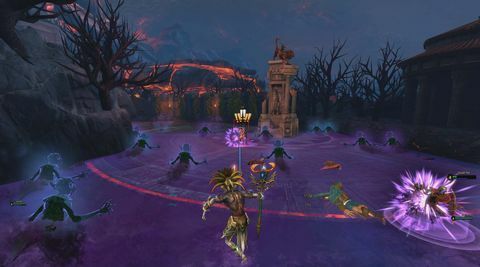 Taking control of one of 68 mythical god-themed characters, Smite players need to work together in teams of three to five in order to assault enemy objectives. Players also need to protect their own bases, while protecting or attacking bands of lowly AI-controlled minions. This dynamic tug-of-war for the player’s attention is the crux of the experience, and the fulcrum on which the genre itself is based. 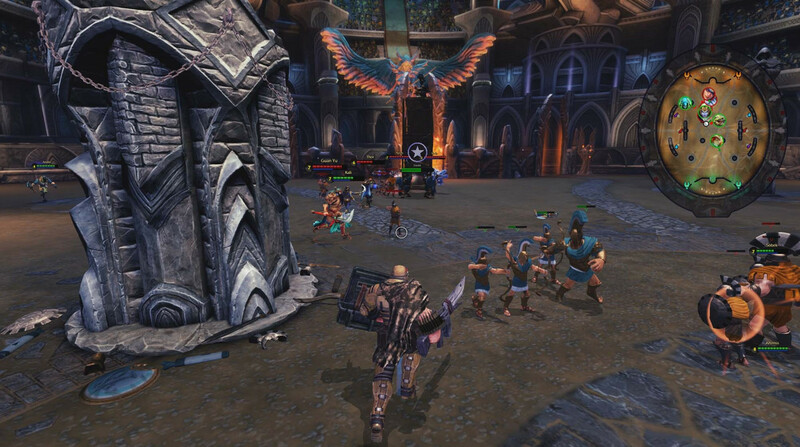 For those new to the genre, a MOBA is part role-playing and part real-time strategy. You must use your spells and abilities to attack enemies or heal your friends, all while levelling up, unlocking new skills, and managing cooldowns. 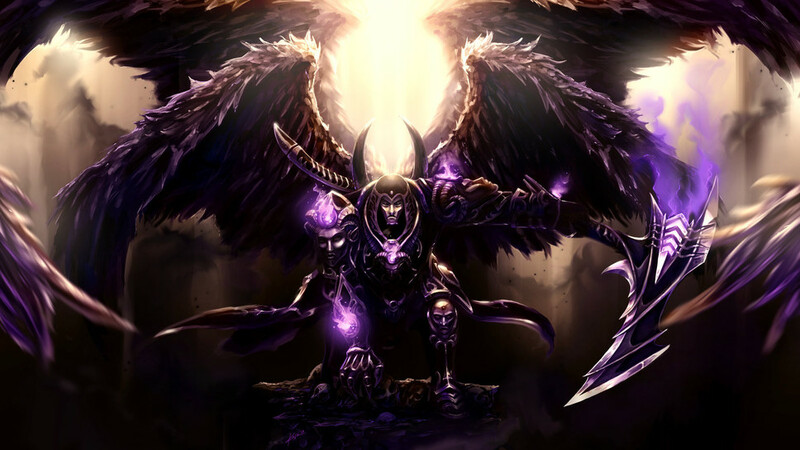 The origins of the MOBA genre are somewhat shrouded in mystery, but it’s largely undisputed that a series of modifications for StarCraft and WarCraft III took the loose gameplay threads that were established in earlier games and combined them into a cohesive whole. 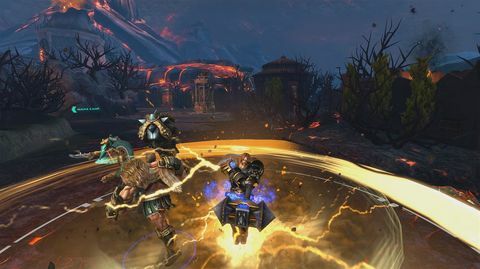 The twist Smite brings to proceedings is in its repositioning of the camera from an isometric or even god's-eye view to an over-the-shoulder angle that’s intended to lend the strategy-heavy gameplay an air of the action aesthetic. It is somewhat successful at pulling this off. Given the game still works in the same way, however, the change in point of view is largely cosmetic; the basic tenets of MOBA (guarding your lanes, working together, and knowing when to run) will serve you just as well here as they will in any of the numerous other options you’ll find on your platform of choice. There’s a huge roster of characters to lose yourself in here, each of which is split between typical RPG roles. There’s melee damage dealers (DPS), tanks, ranged DPS, and magic users, each of which are further splintered into sub-classes for those who like to mix and match. Controlling each is a simple affair that translates well to a console controller, but learning how to master a character’s skillset is something else entirely. As it’s a free-to-play game, Smite’s economy is something that will be immediately scrutinised by new players. Fortunately, it stands up well to almost any level of assessment: there’s no obvious ‘pay-to-win’ elements, and most of the meaningful content can be unlocked through pure gameplay. If you want to get immediate access to all of the characters including those that haven’t even been released yet, a one-off payment of NZ$40 removes that paywall, leaving only cosmetic items to be earned through in-game or real currency. There are loads of things you can buy too, including different costumes, announcers, and much more. You can even buy a New Zealand flag to use as an avatar. Red Peak fans will not be surprised to hear their flag of choice is not an option, however. There’s also in-built support for crowdfunded e-sports, with various bundles of in-game items contributing directly to the prize pools for events and sponsorship money for high-profile teams. You can even speculate on the outcome of the Smite World Championships from inside the game itself, supporting the competition while potentially earning in-game currency to spend yourself. The only odd thing about the economy is that the second most expensive bundle of in-game currency ($69.95 for 3500 gems) costs more per gem than the NZ$45.95 / 2500 bundle. 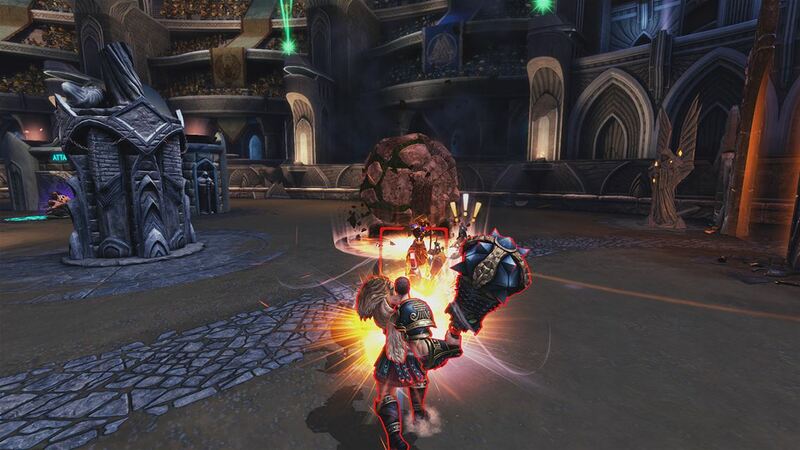 Unfortunately, the actual gameplay at the core of Smite lacks the imagination you might think a developer prepared to change the camera angle might bring to the table. There is a cool mode where everyone plays as a wolf, but you’ll likely never play it as it doesn’t seem to be very popular, with matches hard to come by during typical Kiwi gaming hours. Other modes restrict your options, which spices things up, but they’re not unique to Smite. Fortunately, there’s nothing particularly wrong with the execution either. It’s visually unappealing, with levels of pop-up and texture quality you’d expect on an Xbox 360 rather than an Xbox One, but the frame rate is stable, which is obviously a more important consideration. Controlling your characters necessitates direct aiming with the analogue sticks – a stark contrast to the snappy, wrist-flicking action most MOBA gamers will be used to. Most skills necessitate actual aiming, too, and there are few things in life more infuriating than firing off a devastatingly powerful attack with a huge cooldown at the piece of ground where an enemy used to be. There aren’t many maps to play, but those present here work very well for the most part, concentrating the action while still enabling skilled and observant players an advantage should they figure out how and when to apply it. And with so many characters to choose from, there’s a pretty good chance you’ll find a combination that sits well with you, just as the enemies you face will rarely be the same as a group you’ve faced before. While it doesn’t reinvent the genre or lend it much additional flare, Smite is still a worthy addition to the legions of MOBA games that are now available. In particular, it works pretty well on the Xbox One, where you’ll never feel gimped by the reduced number of inputs available to you on the controller. 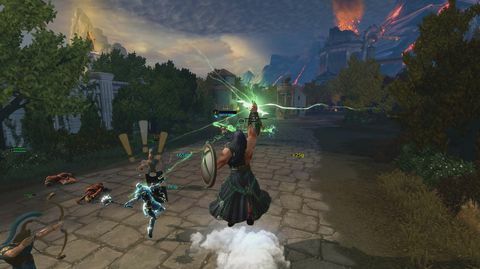 So if you’d like to tackle an online battle arena from a new perspective, or are a console owner that's never given one a shot, Smite’s a solid entry in the multiplayer action genre that's well worth a magic missile or two. Ups A deep, satisfying MOBA with a new perspective. Works well on a controller. Very fair economy. Downs Looks a bit pants. Lacks imagination. We're in Atlanta for the Smite World Championship. The first big console MOBA has arrived.